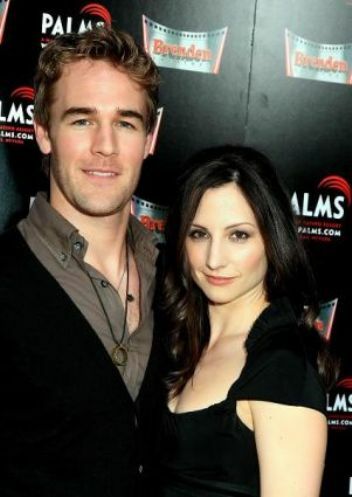 Dawson’s Creek star James Van Der Beek and his wife of seven years, actress Heather Ann McComb, will officially be divorced June 3rd. While the Mrs. will walk away with quite a hefty settlement, the Mr. will part ways with a lot less money every month. Van Dr Beek was ordered to pay his estranged wife nearly $8,000 for spousal support, every month until the end of 2012 (approximately $240,000). But the actor is leaving totally empty handed – he gets to keep the couple’s house as well as all residuals from his acting jobs, screenplays, and stories written during the marriage. Eight grand may seem like a lot of money to you, but James Van Der Beek supposedly rakes in about $35,000 a month, so it’s really a drop in the bucket for him. He’s lucky he got away as easily as he did – they must have had a pre-nup. Is there ever a requirement of fault for spousal support to be awarded? At one time there was this requirement. If the recipient was guilty of marital fault of some sort – the most common being adultery – then spousal support was barred or automatically awarded depending upon which spouse was guilty. The law changed in all states to holding fault as a factor only if the fault led to the marital breakdown. For example, if the marriage broke down because of adultery. Often adultery or other marital faults are a reaction to the breakdown of the marriage, rather than the cause. With the rise in no-fault divorce, the fault requirement has almost faded completely. A practical matter, in many divorces, even if traditional fault grounds such as adultery are present, the divorcing spouses may opt for a no-fault divorce, in order to avoid the added time, stress, and financial burden of a contested based divorce. 50 queries in 2.148 seconds.